Shawn Wigs created 100 blind-boxed custom 3" Dunnys for his Candy Licker release. Each custom, incredibly, is very different. I'm astonished at how much work he put into these. Different colors, themes, accessories- it's crazy! The customs come packaged in nice boxes, with foam inside to protect them. Each Dunny comes with a CD single (3 tracks) created by Shawn and featuring his friend Method Man (yes, Method Man of the Wu-Tang Clan!). 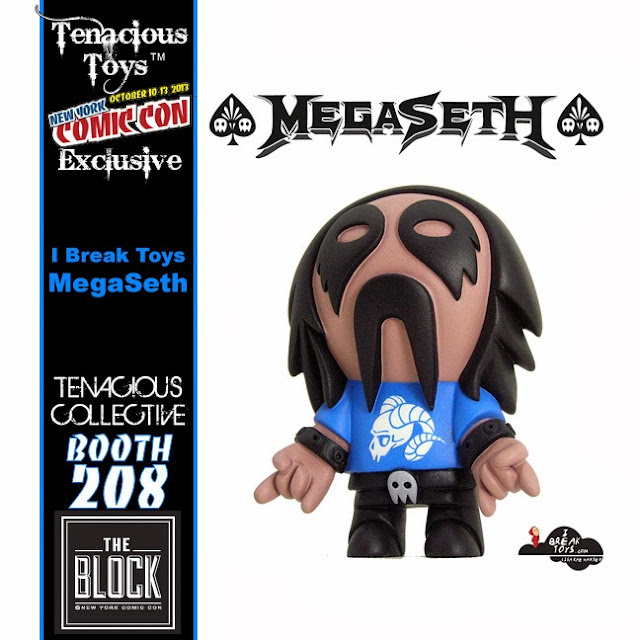 Shawn has graciously allowed us to open up the blind boxes and sell them open-box so you can pick your favorites! This 3" dunny is hand painted and customized by Shawn Wigs. 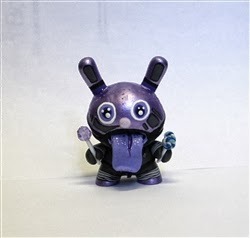 Candy Licker Dunny Number 17 sells for $50, but for a limited time, you can pick him up for $30 with the code 40pctoff at the Tenacious Toys online store. Ok Ok, I admit, I know zilch about this, I know my son often plays the game, should of got him to write this but unfortunately its a school night and its 12.50am here in UK!! They look pretty awesome, but its robots, and coming from threeA, its expected! 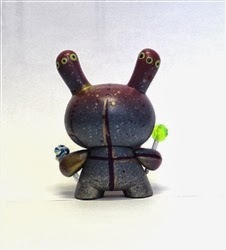 This 3" dunny is hand painted and customized by Shawn Wigs. Candy Licker Dunny Number 19 sells for $50, but for a limited time, you can pick him up for $30 with the code 40pctoff at the Tenacious Toys online store. Sculptor and monster-maker Deth Becomes You has opened fire- err, opened preorders, on a new series of custom Androids. These Dalek 'Droids exterminate their competition with relentless vigor and armoured coolness. Born and raised as the only child of successful circus performers, Bobby Von Block was a lonely, misunderstood child who was often teased by the other children for being too square. He spent much of his time studying physics, carpentry and mind reading. His best and only friend throughout childhood was his homemade assistant, Ivan the Beaker. After high school Bobby dropped out of college because he found it too difficult trying to obtain a PhD in Happy Sciences. Instead, he decided to focus on earning a Master of Madness in Evil Sciences. 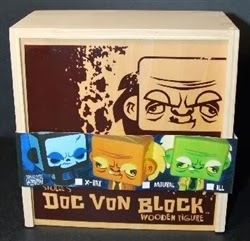 Von Block now lives deep in the forest of Transylgrainia where he spends his days concocting formulas to destroy butterflies, unicorns, bunny rabbits and all other cheerful creatures. 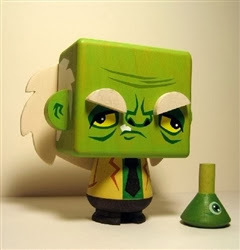 Doc Von Block stands at 5" tall, each accompanied by an Ivan the Beaker accessory. These toys are made of 100% high grade wood and packaged in keepsake wood boxes. Each Doc is unique due to the staining on the wood grain! 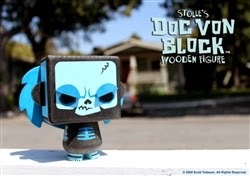 Limited to only 150 pieces, from Stolleart Studio. Typically this figure will run you $50, but for a limited time you can pick it up for $30 at the Tenacious Toys online store by using the code 40pctoff. The second release in the Forces of Dorkness Forceolicism series is The Passion of the Wookiee. This is a run of 20 blind-boxed resin figures in unique colorways. Scott is drop-shipping; we have no control over who gets what color. 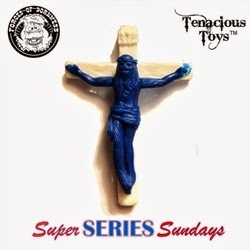 This is a mashup of a Chewbacca figure, a crucifix and Scott's sculpting handiwork. Scott uniquely illustrated each box by hand! Each figure measures 6 inches tall, 4 inches wide and is made of resin. 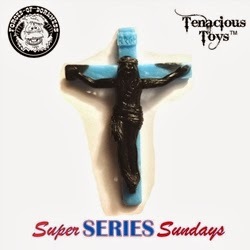 Each piece is uniquely colored due to different colors of resin used during casting and all colors incorporate some blue. This piece was sculpted, molded and cast by Scott Kinnebrew and includes attached wall mount on back. 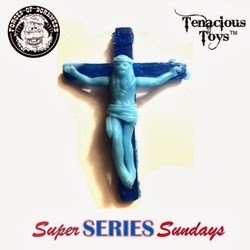 Typically these figures go for $50 a piece, but for a limited time you can pick one up for only $30 with the code 40pctoff at the Tenacious Toys online store. Doc Von Block stands at 5" tall, each accompanied by an Ivan the Beaker accessory. These toys are made of 100% high grade wood and packaged in keepsake wood boxes. Each Doc is unique due to the staining on the wood grain! From Stolleart Studio. 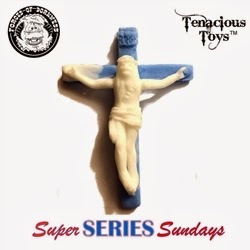 This figure is limited to 150 pieces and is normally $55.00, but you can pick one up for only $33 by using the code 40pctoff at the Tenacious Toys online store. Tenacious Bogie by Furry Feline Creatives. 15 inches tall, handmade fleece plush, limited to 10 pieces, $40 each. MegaSeth by Lisa Rae Hansen. Resin, 4" tall, limited to 5 pieces, $60 each. Monster Embryo by Taylored Curiosities: resin, 1.2" tall, 10 pieces, $16 each. Zombie Candy Corn by SoKo Cat. 3" tall, resin, limited to 10 pieces, $45 each. 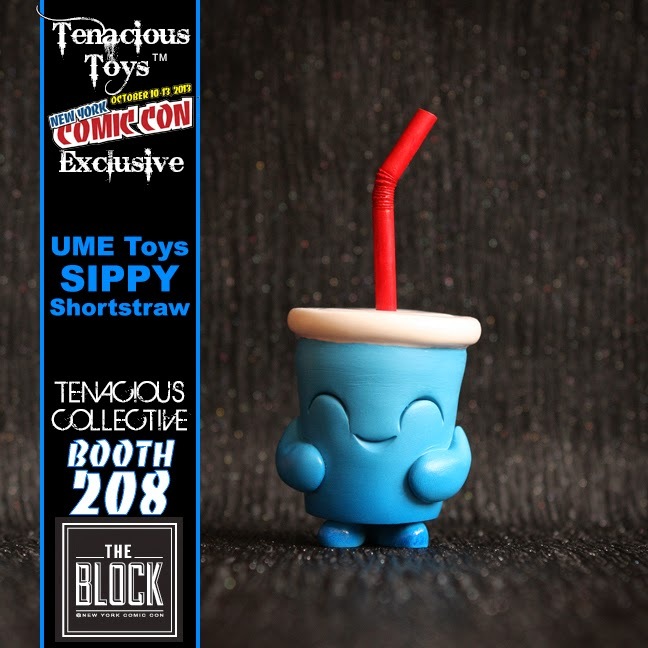 Sippy Shortstraw by UME Toys. 12cm tall, resin, limited to 10 pieces, $40 each. Zombie Goo Yellow by VISEone. 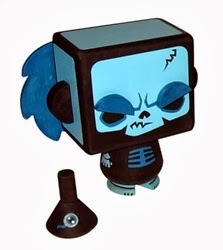 8" tall, vinyl, limited to 100 pieces, $40 each. 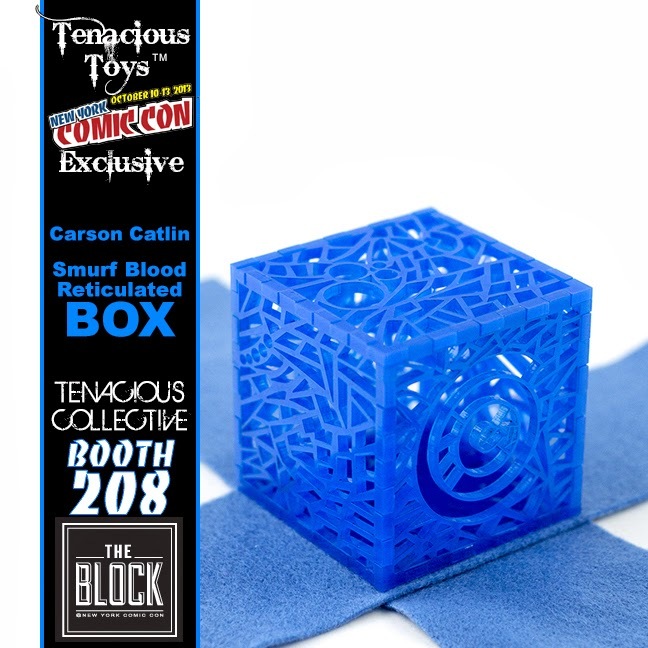 Smurf Blood Reticulated Box by Carson Catlin. 2.5" high, limited to 10 pieces, $50 each. 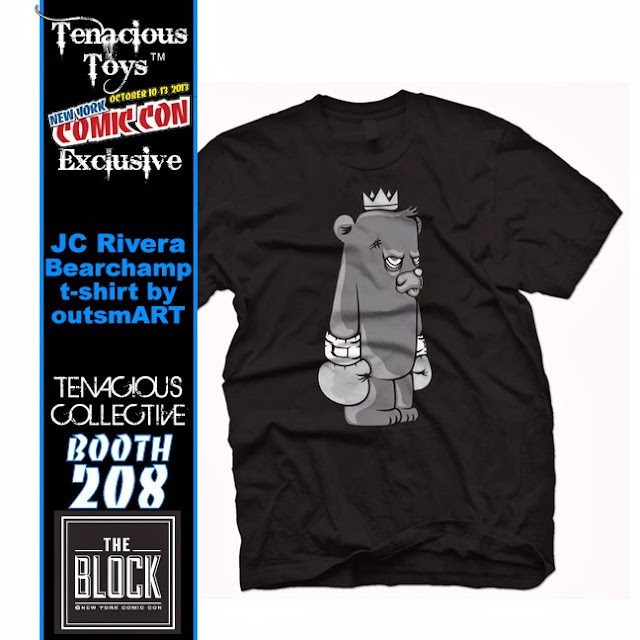 Mono Bearchamp t-shirt designed by JC Rivera & produced by outsmART originals. Cotton, assorted sizes, $20 each. At NYCC we will be selling a Pobber Bearchamp / outsmART Bearchamp t-shirt package. 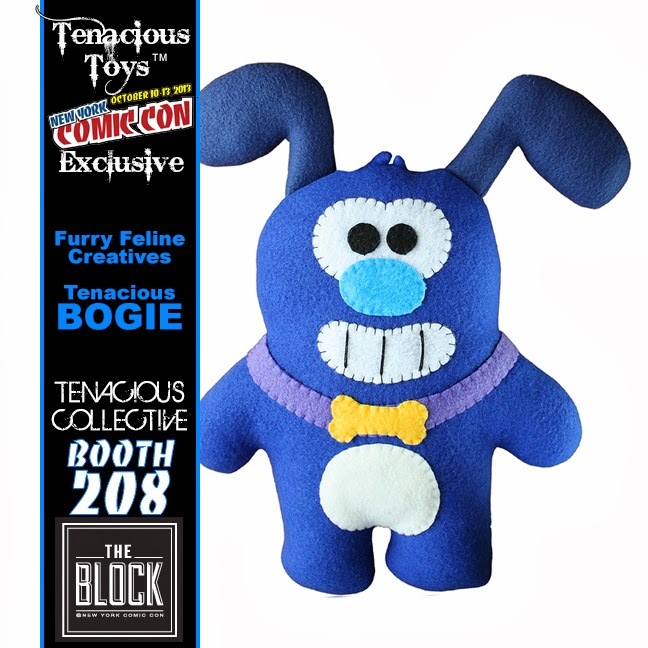 To keep on top of all of the Tenacious Toys Exclusives, all the special guests, all of our partnerships, releases, debuts and signings, please visit and bookmark our Tenacious Toys NYCC page. You'll be able to buy all of these items and more at Booth 208 in The Block.